346 Martindale Court Cottrellville Twp, MI. 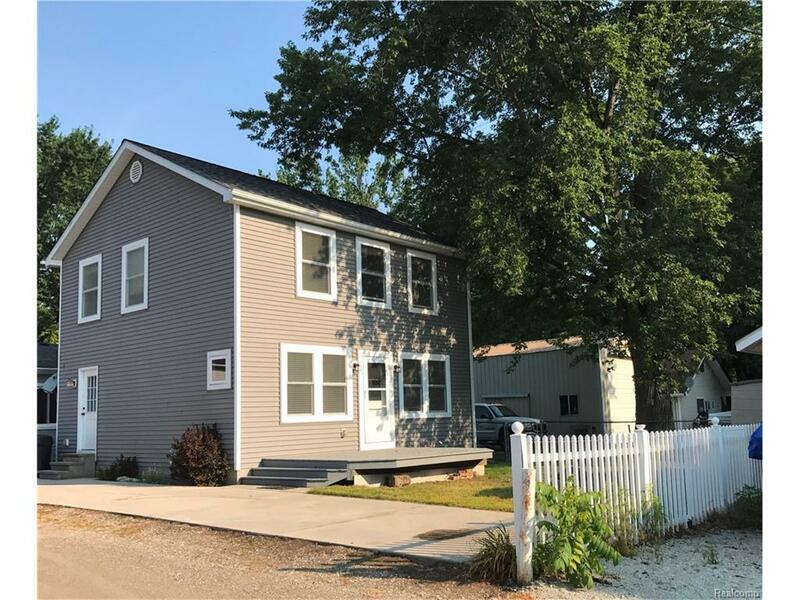 | MLS# 217070491 | Marine City and Algonac homes for sale,Westrick Real Estate One 810-765-8861, Marine City MI Homes,Real Estate Marine City MI,Homes for Sale Algonac,Algonac MI Agent, Home for sale St. Clair MI,St. Clair Homes for Sale,Property Marine City, Algonac Homes. MARINE CITY Area, Cottrellville Township, Adorable 3 bedroom Colonial. Open floor plan features Large kitchen with Maple Home Crest Cabinets and a pantry for extra storage. Ceramic tile baths, upstairs has large linen closet, huge storage closet under stairs= pella windows, steel entry doors, 3 dimentional roof, 14x10 deck, cement parking for 2 cars, closed storage area for bikes, yard equipment etc., and an amazing view of the St. Clair river. Deeded Access to the approximate 50X150 waterfront park like lot at the end of the street, which includes bonfire pit, grill and water rights for swimming or fishing. ( GREAT Fishing!) What an awesome deal! Quiet street with friendly neighbors. Lower Township taxes. Very nice home at an affordable price! Freshly laid gravel on private road Make your offer today.